There are innumerable women worth admiring, whether it’s because they have personally made an impact in your individual life or because they’re changing the world as we know it. These women are out there, breaking barriers that still exist for women, whether it’s within a certain field, for women of color, or for some other special reason. Along with her sister, Venus, Serena arrived on the tennis scene ready to make a splash. Tennis has not traditionally been a place where black women were often seen, especially at the top tier, but that never stopped the Williams sisters. Although Venus had to retire early due to health issues, Serena has gone on not only to make history through the sport but to use her fame and popularity for several social changes and activism, including for women’s issues. One of the most famous modern authors in existence, J.K. Rowling is worthy of admiration on several points. She was a single mother on welfare when she wrote Harry Potter and the Philosopher’s Stone (Sorcerer’s Stone in the U.S.), writing late at night after working long days and taking care of her children. Once she had the wild success of her books, inspiring millions of children (and adults) to read, she has used her money and popularity for a number of social justice issues. Although deceased, Mother Teresa remains one to admire. Successful in her own way, she was able to influence world leaders and celebrities of every type. She shone with compassion and love but she also had a backbone and wasn’t afraid to tell anyone, including world leaders, that they were doing wrong if she believed it to be true. Benazir Bhutto was the first female Pakistani Prime Minister as well as the first female Muslim leader. She was a tremendously brave, intelligent, and successful woman worth admiring. Regrettably, she was killed by terrorists in 2007 but that won’t change the good she did and all that she represents. Dr. Temple Grandin is a professor and activist. She has autism and invented the “hug box,” used to calm people on the spectrum, and is a major advocate for those on the autism spectrum as well. She also is a tremendous advocate for animal rights and uses her popularity as a platform for that issue as well. Do Women Need a Different Kind of Addiction Treatment? It hasn’t been all that long that addiction recovery has been available to women. Recovery from drug and alcohol addiction has been primarily focused on men for quite a while. In the last quarter of the last century, however, this started to change. Scientists and medical professionals began to study how substance use disorder affects women in particular. Women are psychologically very different from men, and this is not a secret. This also means that the way they respond to substance use is different as well. Hormonal differences can make women more sensitive than men to the effects of certain substances. It often does not take as much alcohol, for example, for a woman to get drunk. Women also have different reasons to engage in substance abuse. Many women are using substance abuse as a way to escape the emotional pain that comes with physical, sexual, or emotional abuse. Women also use substance abuse as a way to cope with trauma. This is why women must be treated with gender-specific treatment for alcohol and drug addiction. 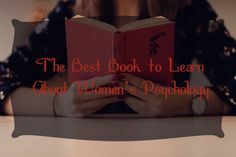 When women are treated in a rehabilitation center specifically for women, they usually feel they can be more open in group therapy, for example. Also, they will not be distracted by men and the potential for romantic relationships. When you are in early recovery, you really need to focus on yourself, and you shouldn’t be dating. If you are a woman who is suffering from substance use disorder, it’s imperative that you seek treatment as soon as possible. Fortunately, there are many resources that will help you to find effective treatment. Finding alcohol or drug rehab in Washington is not a difficult thing to do. It’s time to take back control of your life and get sober. There are millions of women who do it every day all over the country. Why can’t you? Being a confident woman in today’ society is not an easy task that you can achieve, but it is not impossible. 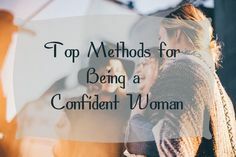 We made this article specially for women like you who are searching for new methods that will help them become a much more confident woman. So, if you want to learn about these very effective methods, we suggest that you sit down, relax and take in all the information that we have for you. Once you are finished reading and you think that you know all that you need, then go out of your comfort zone and start applying these methods. In no time, you will become a much more confident woman who will get things done faster and easier. Confidence is a thing that you must have if you want to survive in today’s society because otherwise people will judge and make fun of you for lacking that skill. Yes, you heard it right, being confident is nothing else but a skill that you can learn just as easily as anything else. The trick to learning skills is to know the right methods to do it, once you have them, nothing can stop you from mastering that skill. If you want to boost your confidence as a woman, then the first thing is to boost your appearance because that will help you out a lot. There are so many women who are not confident about their looks and what they are wearing, but there is a very simple solution for that issue. All you need to do is simply upgrade your wardrobe with things that you will like and feel confident while wearing them. One of the things that unconfident people do all the time is taking their eyes of the people they are talking to. That is the first sign of not being confident, so fixing this issue will help you boost your confidence by a lot. Start using this method with someone that you are feeling relaxed with, like with your parents, friends and move your way up to a level where you will feel comfortable speaking to strangers and keeping eye contact. If you want to be accepted by the society nowadays, you will have to adapt to the way other people are living. Being different is always good because that gives you personality and that is what makes you unique from other people, but when it comes to the society, not all people are being equally accepted. That is terrible to even hear, but that is the reality that we are living in today. Sadly, we cannot do anything to change that as individuals, but if everyone would just have opened their eyes and listened to these people, then they would understand why they are so different. In most cases, people are being cast out of the social circles because they are behaving completely differently, and they are not following the “big crowd” of people that is society and trends. Getting accepted in today’s society is little easier than it was let’s say ten years ago and the reason for that is because people are starting to realize that being different is not that bad. Finding your personality and who you really are is something that not that many people are capable. Most people are just following the trends and doing everything exactly the same. After some time that gets boring and you might develop something unique to you. One of the things that will not help you get accepted in today’s society is getting some major appearance change done to the body. As mentioned being different is good, but in some situations, that is not the case. For example, being a fully tattooed person will definitely get you some weird looks and mean comments because the society has simply not accepted that type of look. Of course, we have said before that as time passes, these things are changing. Nowadays, people that have tattoos or other body modifications are being treated normally as long as the modifications are not drastic. 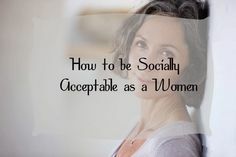 However, overall as a woman, you get to be accepted into society pretty easily without trying too hard. For men, that can be a different story because they have different standards.